Like most New Englanders, my love affair with fall and anything (and everything) pumpkin started early in life and there isnt a September, October or November that doesnt go by without an assortment of pumpkin breads, lattes, and pies being consumed. But I always find that as many classic pumpkin themed dishes there are, Im wanting more; after all, shouldnt there be more dinner recipes that really let this fall favorite shine? 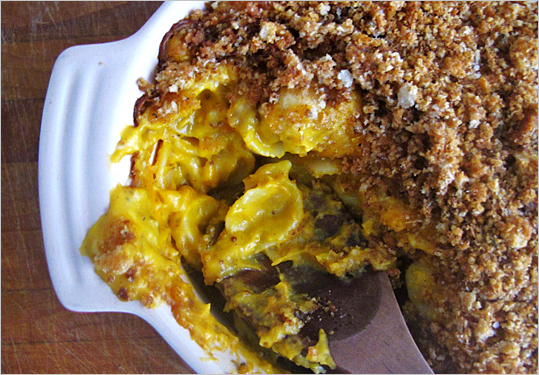 Made with homemade pumpkin puree, my Pumpkin Macaroni and Cheese with Sage Breadcrumbs fuses a classic dish with vibrant fall flavors, giving it an updated seasonal twist.